The authors associated with our new imprint, Cruciform Fiction, are commandeering the blog for a while. Yesterday’s post was the first in the series. Make sure you check out what Ernie Bowman had to say about our hopes and dreams for using novellas to help inspire the missionaries of tomorrow! Over the course of several posts, these authors will be discussing novellas—longer than a short story but shorter than a novel. For decades the traditional publishing world has stayed away from novellas, but we think (ok, yes, we’re hoping) it may be time for a change. In fact, we’re pretty sure we have the only Christian fiction line that specializes in novellas. 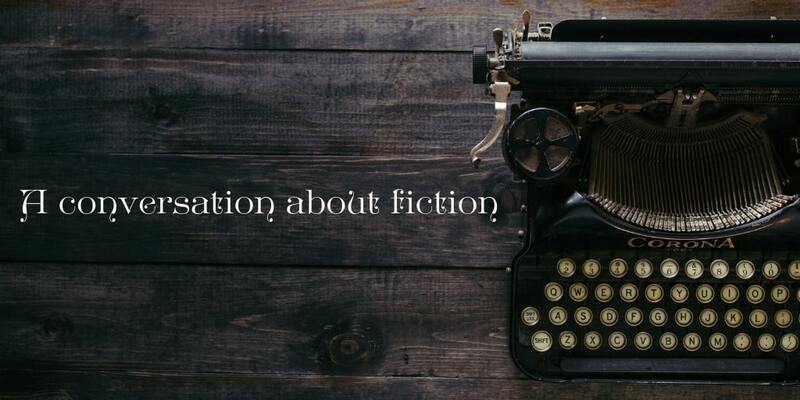 During this blog series, the authors will distinguish novellas from other forms of fiction, discuss some favorite novellas, explain why they see short fiction as especially valuable for Christians, and share about some of their own titles. They will also announce a couple of things we’re excited about: $1.99 fiction flash sales, and the giveaway of an intriguing short story that imagines a personal, private conversation between two famous, brilliant, thoughtful, opinionated, articulate, and biblically grounded contemporaries in 19th Century London. This blog series will itself be a work in progress, and for now we’re envisioning six or eight more posts over the next month or so. The authors would love to hear from you, in blog comments or in book reviews, so check out our fiction titles, consider signing up for this blog, and stay tuned! Today we are excited to announce the simultaneous release of our first three fiction titles. It so happens that these are all “speculative fiction”—like the novels of C. S. Lewis and Madeleine L’Engle—although future titles will include missionary stories, historical fiction, and more. Please download a sampler with a lengthy excerpt from each book. In two of the books we release today, characters travel to different worlds and times, and the other is a reality-rending ghost story by Charles Dickens—which is not A Christmas Carol but may be even better than that beloved tale. SPECIAL INTRODUCTORY OFFER: Use coupon code FICTIONOFFER1 to get 30% off any or all of these three paperbacks. Our first book is an edition of Charles Dickens’ Haunted Man, originally published in 1848. This version has been abridged significantly to make it more enjoyable for modern readers, while retaining every essential element of the story. It also includes an introduction with character descriptions and other helpful information, and a thought-provoking Afterword discussing some of the spiritual issues that are addressed in the book. – We’re trying our hand at publishing fiction! – And we’re seeking more fiction manuscripts! Got one? Here’s something we’ve been eager to announce for almost a year. At Cruciform Press, we’re finalizing our preparations to follow our Savior into the realm of creative storytelling! When we see Satan, God’s enemy and ours, using fiction throughout human history to powerfully advance his nefarious schemes, let’s remember that all he is doing is perverting a divinely ordained technique—one that God intends to belong first and foremost to his church. So at Cruciform Press, we are excited about the opportunity to help “reverse the curse” in this regard by using the God-given instrument of fiction for good purposes instead of evil. Today we are excited to announce Cruciform Quick, a line of booklets in the range of 40 to 60 pages each. We’re launching the series with three titles from Tim Challies, and we look forward to other authors publishing in this line as well. We all know the feeling: every week, every month, every year it just seems that life keeps moving faster and faster. So at Cruciform Press we are taking our trademark length—books of about 100 pages—and adding a set of resources that will make for an even quicker read. The Challies booklets seen above each started life as a popular series of posts on Tim’s blog, articles he then adapted for this format. And while Tim plans to release additional Cruciform Quick titles, there is plenty of room for others to publish in this new format. In fact, the introduction of Cruciform Quick is the first public step in a significant diversification within Cruciform Press…but more on that to come. For now, we hope you will enjoy Tim’s three new titles: The Character of the Christian, Set an Example, and The Commandment We Forgot. And if you think you might like to publish in the Cruciform Quick series, please let us know here. Shouldn’t you grab some great titles at an unbeatable discount? Sale runs through Tuesday, November 28th. The whole Bible teaches truth and awakens emotions, but the Psalms are in a category of their own. They do not just awaken heart; they put it in the foreground. They do not just invite our emotions to respond to God’s truth; they put our emotions on display. The Psalms are not just commanding; they are contagious. We are not just listening to profound ideas and feelings. We are living among them in their overflow. We touch pillows wet with tears. We hear and feel the unabashed cries of affliction, shame, regret, grief, anger, discouragement, and turmoil. But what makes all this stunningly different from the sorrows of the world is that all of it—absolutely all of it—is experienced in relation to the totally sovereign God. This book is an invitation. God wants our hearts. He will take them as he finds them. And then, with the healing contagion of the Psalms, he will shape them. Accept his invitation to come. The miracle of the new birth shows us that the Holy Spirit raises the spiritually dead by giving them new minds and hearts that together believe the gospel, love God, and want to be conformed to Christ. And yet, born-again people are not perfected. They are truly new, truly alive, truly spiritual, but in many ways unformed and immature—just like newborns in our families. So the question for the early Christians—and for us—is this: How does the new mind and the new heart, full of imperfect thinking and feeling, pursue the fullness of right-thinking and the fullness of holy affections? One of the main answers of early church believers was to immerse themselves in the Psalms. Psalms is the most often-quoted Old Testament book in the New Testament. It was the songbook, poetry book, and meditation book of the church. Alongside the teachings of Jesus and the apostles, Psalms was the book that shaped the thinking and feeling of the first disciples more than any other. It is this shaping power of the Psalms that gets at my aim in this short book. My hope is to simply jump-start, or deepen, that kind of Psalms legacy in your life. I pray for God-centered, Christ-exalting, Psalms-saturated thinking and feeling—because I believe that this kind of thinking and feeling will bear fruit in the kind of living that cares for people and magnifies Christ. Check out Stacy’s book here. Stacy Reaoch is a pastor’s wife and mother of four. She is passionate about studying the Bible and helping women apply God’s life-changing truths to their daily lives. Stacy has written for various ministries including Desiring God, The Gospel Coalition and Revive Our Hearts. She and her husband, Ben, live in Pittsburgh, PA with their children. Why has God led this world through the great arc of redemptive history? What has been his ultimate purpose? The great goal of God in redemptive grace has always been and remains nothing less than to glorify himself through the complete restoration of his moral image in those he has chosen to save. And the pattern for that restoration is none other than our Lord Jesus Christ himself. Around A.D. 50 the apostle Paul completed his missionary visit to Athens. He then looked to the western horizon and began his journey to Corinth, a city of power and pride. He had confidently determined to arrive in Corinth with only one weapon in his arsenal: the word of the cross, the message of Jesus Christ and him crucified (1 Corinthians 2:2, NASB). A short time after leaving the Corinthian church, under the inspiration of the Holy Spirit Paul wrote to the factious and proud believers of Corinth, rebuking them and reminding them that the gospel leaves no room for arrogance and is diametrically opposed to the so-called “wisdom of the world.” The gospel message, its application by God’s sovereign decree, and the peculiar choice of those whom God would call by it, left no room for pride. Indeed, the gospel permitted “that no flesh should glory in his presence” (1 Corinthians 1:29, KJV). 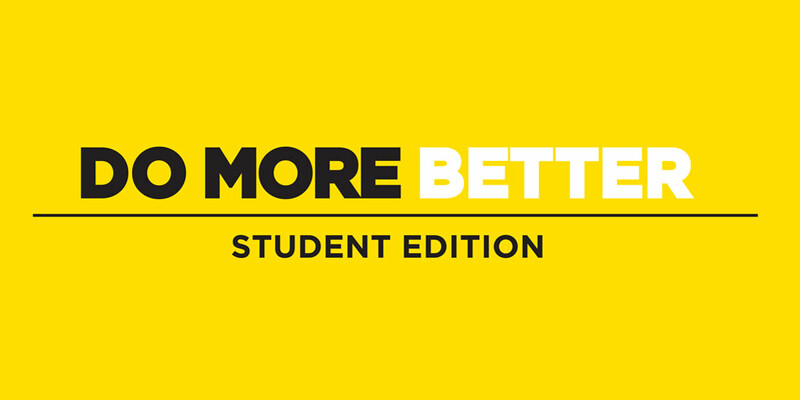 When Boyce College contacted Tim Challies about the possibility of producing a student edition of his book, Do More Better: A Practical Guide to Productivity, it didn’t take long for us all to realize it was a great idea. The original version of the book has more than 270 customer reviews on Amazon, with an average 4.7 out of 5 stars, and we’re hopeful that this new edition will be able to do for high school and college students what the original has done for tens of thousands of others. All our books come with automatic quantity discounts of up to 20% from our already low website prices. However, if any colleges, schools, or other organizations would like to inquire about significant orders, please use our contact page. Cover and content customizations are also available in some cases.